UPDATE: 2:55 p.m., May 27, 2016 — The dog has been released into the care of a rescue organization and is being transported out of the Commonwealth of Virginia. Wytheville, Va. – Wythe County officials say they are presently engaged in talks with an animal rescue organization in order to save the life of a pregnant Jack Russell Terrier. The terrier was captured on May 18, 2016, following an incident in which the dog (along with other dogs that were not captured) is said to have broken into a chicken coop and killed approximately 34 chickens. Barren Springs, Va. – Earlier this week, the Wythe County Water Department announced that the locality’s waterline installation project running from Poplar Camp to Barren Springs is nearing the final stages of construction. According to county engineer Bill Vaughan, work on the project is being performed in multiple phases with differing completion dates per area. Vaughan stated that a portion of the Castleton Road area (running from the intersections of Fort Chiswell Road to Lonesome Dove Lane) has been completed and is ready to be put into service. Residents along this section of the waterline may sign-up to receive water services early. 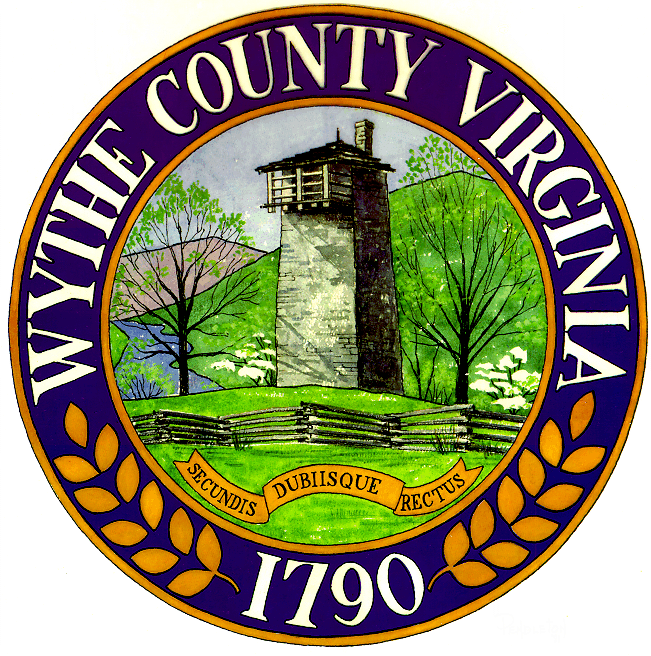 WYTHEVILLE, Va. – The Wythe County Board of Supervisors voted to adopt the county’s first property maintenance ordinance during their regularly scheduled meeting this past Tuesday evening. 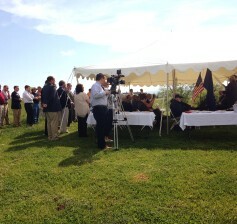 WYTHEVILLE, Va. – This morning, representatives of Branch Botanicals, Inc. announced that the company would be establishing its headquarters and first manufacturing facility in Wythe County’s Progress Park. The company plans to plant millions of cherry seedlings at the industrial park’s Lot 20, relying on many Wythe County farms to cultivate the crop once the seedlings are large enough to be transferred. “The processes we have developed over decades of trials involve proprietary techniques that — to my knowledge — have never been used in this manner. The results have been the development of multiple unique products that provide effective natural alternatives to commonly used synthetic formulations,” commented Dr. Don Roberts, founder of Branch Botanicals. 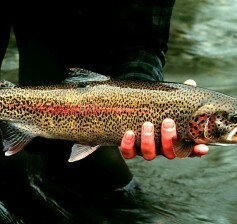 SPEEDWELL, Va. – The Speedwell Volunteer Fire Department will be hosting their 37th Annual Trout Fishing Tournament this weekend. Proceeds from the two-day event will be used to cover the day-to-day operation expenses of the local fire department, as well as prizes for winners. The tournament will be held across from the Wythe County Convenience Center in Speedwell in what is known locally as “Linkous Bottom” and is scheduled to last from 8 a.m. to 5 p.m. on Saturday and 7 a.m. to 4 p.m. on Sunday. Registration is $35 for a single day and $60 for two days. Children 12 and under will only be charged $15 per day when accompanying a paying adult. According to the department, trout will be stocked into Cripple Creek daily and free camping will be available to participants. WYTHEVILLE, Va. – Wythe County’s Parks & Recreation Department is teaming up with the Virginia Department of Game & Inland Fisheries (DGIF) to host a “Kids Fish Day” on Saturday, May 14, 2016. The event is just one of dozens of activities DGIF will be hosting throughout the Commonwealth in 2016, aimed at giving children 15 and under the first opportunity to fish in freshly stocked waters. Unlike in previous years, the 2016 Wythe County Kid’s Fish Day will be held at Cripple Creek’s Collin’s Cove / Cole Branch section (roughly midway between the communities of Cripple Creek and Ivanhoe, off Pope Rd. 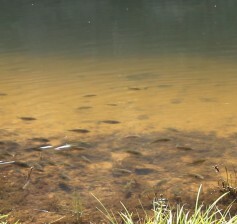 ), rather than at Rural Retreat Lake’s trout pond. 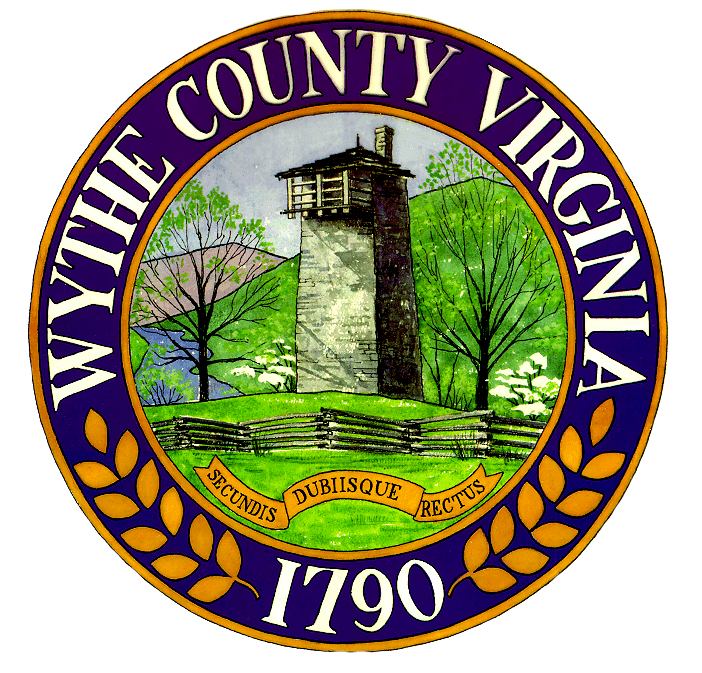 WYTHEVILLE, Va. – The Wythe County Treasurer’s Office has announced the scheduled judicial sale of more than 20 real estate properties in the county. The special auction will take place in the Circuit Court of Wythe County on Wednesday, May 11, 2016, at 2 p.m., located at 225 S. Fourth St. in Wytheville. Properties listed for sale will include residential and commercial real estate, all which have delinquent property taxes dating back at least seven years – the taxes on some properties have not been paid since 1997. Landowners whose properties are scheduled for sale will have until May 11th to pay the balance of their taxes, as well as pay any attorney fees associated with listing the properties. This may be done by calling the Wythe County Treasurer’s Office at (276) 223-6070.